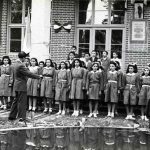 When considering the literature that Jews of the Middle East and North Africa wrote in the first half of the twentieth century, one tends to think either of Iraqi Jewish authors, such as Anwar Shaul, or Sephardic writers from British Mandate Palestine, like Yiṣḥaq Shami and Yehuda Burla. 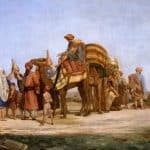 In the case of Jewish writers of the Maghreb and Egypt many professional and amateur writers chose to publish their works in various languages, for example French, while maintaining a profound attachment to their Arab homeland and to Judaism. 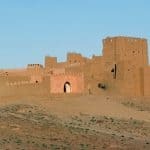 Cattaui evokes a nation where Muslims, Jews, and Copts live together peacefully and stresses how Egypt maintained its unique characteristics against all odds for four thousand years. you are here free again ruling over your sand! this holy day be blessed among your propitious days! 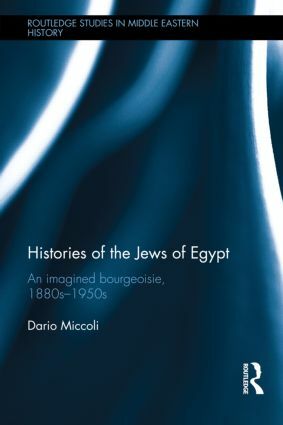 Cattaui was not alone in attempting to inscribe the Jews within the Egyptian national narrative. A second notable author is Emile Mosseri, born in 1911 into another upper-class Jewish family in Cairo. A lawyer by training, Mosseri wrote several plays and collaborated with magazines like L’Egyptienne. Mosseri’s most important achievement was the publication of the collection of poems La ballade de la rue in 1930. General Research Division, The New York Public Library. 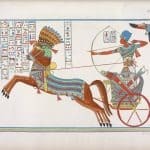 “Ramses III [Ramses II] lanciato col suo carro, e seguito da tre figli ugualmente sul carro, assale una fortezza piantata sopra una rupe, saettandone gli atterriti difensori.” The New York Public Library Digital Collections. 1832 – 1844. Frontispiece of Emile Mosseri, La ballade de la rue, 1933 (National Library of Israel, Jerusalem, photo by Dario Miccoli). Sciuto, in his poem, wrestles with the fact that at the time he was writing, Europe had become an inhospitable place for Jews; yet in the Islamic world, they had found and could still find refuge from persecution. The author of these lines is Lucien Sciuto, a journalist of Jewish origin born in Thessalonika, Greece, in 1868 who later moved to Cairo in 1924 and died in Alexandria in 1947.11 The poem Islam is taken from his 1938 volume Le peuple du messie. The book, written “under the Egyptian sky, on the borders of the desert, in a serene and peaceful setting,”12 was dedicated to Faruq, the second and last King of Egypt, who reigned from 1936 to Nasser’s Revolution in 1952. Sciuto, in his poem, wrestles with the fact that at the time he was writing, Europe had become an inhospitable place for Jews; yet in the Islamic world, they had found and could still find refuge from persecution. 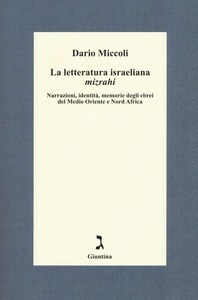 Drawing on the shared Semitic ancestry of Jews and Arabs, including his own experiences in the former Ottoman lands, Sciuto’s words hinted at a possible future coexistence and cooperation between Jews and Muslims. Sais-tu quel est mon Dieu ! 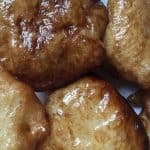 le sais-tu ? – C’est le tien. Il n’en est qu’un pour tous les êtres. L’univers est le livre où son nom est écrit. do you know who my God is? Do you?—It is your God. There is but one God for all human beings. The universe is the book where his name is written. Adam Mestyan, “Arabic Theater in Early Khedivial Culture, 1868-1872: James Sanua Revisited”, International Journal of Middle East Studies 46, no. 1 (2014): 117-137. Zvi Zohar, “haYetsirah haHalakhtit veHaToranit shel rabbane-Mitsrayim baMeʿataim haShanim haʾAḥronot” (“The halakhic literature and Torah commentaries of the Egyptian rabbis in the last two hundred years”), Pe’amim 86-87 (2001): 175-213. Jean-Jacques Luthi, La littérature d’expression française en Egypte, 1798-1998 (Paris: L’Harmattan, 2000). See also: Ovadiah Yeroushalmy, La presse juive en Egypte 1878-1952 (Paris: Nahar Misraïm, 2007). Daniel Lançon, “Georges Cattaui ou la France participée”, in Entre Nil et sable, ed. Marc Kober with Irène Fenoglio and Daniel Lançon (Paris: Centre National de Documentation Pédagogique, 1999), 87-103. 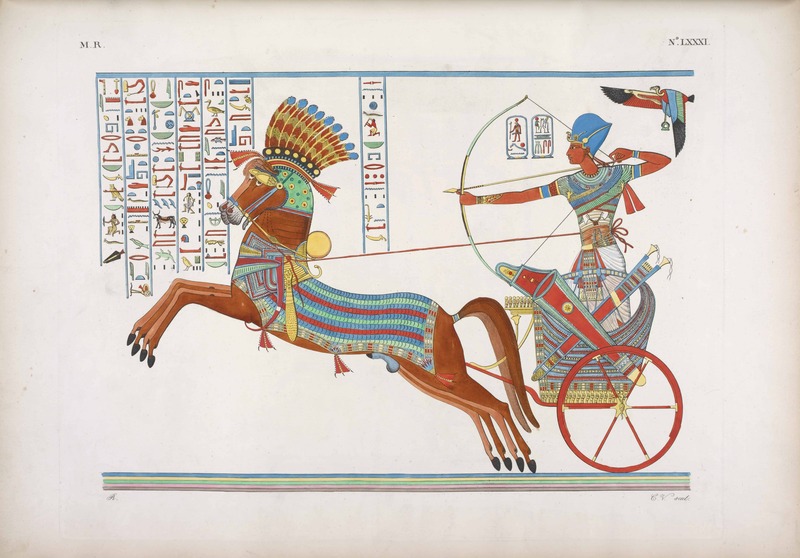 Israel Gershoni and James P. Jankowski, Egypt, Islam, and the Arabs: the Search for an Egyptian Nationhood, 1900-1930 (Oxford: Oxford University Press, 1987); Donald M. Reid, “Nationalizing the Pharaonic Past: Egyptology, Imperialism, and Egyptian Nationalism, 1922-1952”, in Rethinking Nationalism in the Arab Middle East, eds. James P. Jankowski and Israel Gershoni (New York: Columbia University Press, 1997), 127-149. Emile Mosseri, La ballade de la rue (Cairo: Michels, 1933), 20. Shimon Shamir, “The Evolution of Egyptian Nationality Laws and their Application to the Jews in the Monarchy Period,” in The Jews of Modern Egypt: A Mediterranean Society in Modern Times, ed. Shimon Shamir (Boulder: Westview Press), 33-67. Lucien Sciuto, Le peuple du messie. Poème (Alexandria, 1938), 98. D. Gershon Lewenthal, “Sciuto, Lucien”, in Encyclopedia of Jews in the Islamic World, vol. IV, ed. Norman Stillman (Leiden: Brill, 2010), 274-276. Sciuto, Lucien. Le Peuple Du Messie: Poème, Et Autres Poèmes. 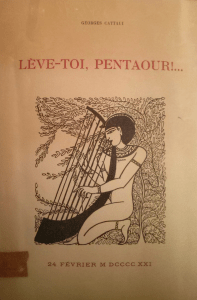 Le Caire: Editions d’Orient, 1938, 69. 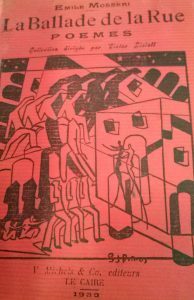 This article is based on: Dario Miccoli, “A Fragile Cradle: Writing Jewishness, Nationhood, and Modernity in Cairo, 1920-1940”, Jewish Social Studies, 21/3 (2016): 1-29 and is being published with permission of Indiana University Press.